Charity organisers are always looking for unusual fundraisers. 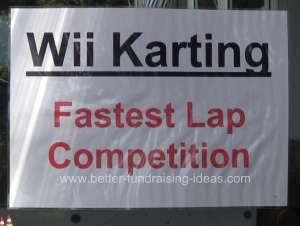 Using Nintendo Wii at your fundraising events is something a bit different. And a great moneymaker. This unique game is great fun. Its popular with all ages and sexes. Its also something that can be worked in all sorts of different ways and can really give your fundraising event the wow factor! The game uses novel handheld remote controls. To play, users mimic the actions of real sports ie tennis, baseball, motor racing. This will create a lot of visual excitement around the game. And intrigue those who have never played before. The equipment can be set up anywhere you can get power for a monitor or TV screen. It can be used inside or out. Its also perfect for having unusual fundraisers where space is restricted. Why not see if a local Nintendo retailer would like to come along to your event as part of a promotion. 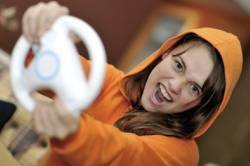 With a Wii there are endless possibilities. Choose the game that will suit your likely contestants the best. Tip you dont want to choose anything that lasts too long. Virtual Golf Are you the next Tiger Woods-How many shots on a couple of holes? or Play against someone else. First to sink the ball wins. Virtual Bowling Strike! Best score in a certain number of go's. or Play against someone else. Virtual Tennis Anyone for tennis? -Can you beat your friends? Virtual Boxing I am the greatest! - here's your chance to have a real battle with your friends. The possibilities are endless. Simply work out how long certain games will take to maximise your profits. So their you are. The world of computer gaming takes over the village fete! Its as easy as One...Two...Wii!